The Project envisions transformation of the Kigoma – Ujiji Municipality and the immediate surrounding district areas, into a multipurpose modern international commercial hub which will be the Inland Gateway Special Economic Zone (SEZ) for the Great Lakes Region, covering a total area of about 20,000 hectares. The proposed Kigoma SEZ will serve as the inland gateway to international trade, for the riparian states of Lake Tanganyika, namely Burundi, Democratic Republic of Congo (DRC), Tanzania and Zambia. Further, the Kigoma Special Economic Zone is one of the fourteen Central Government owned zones. 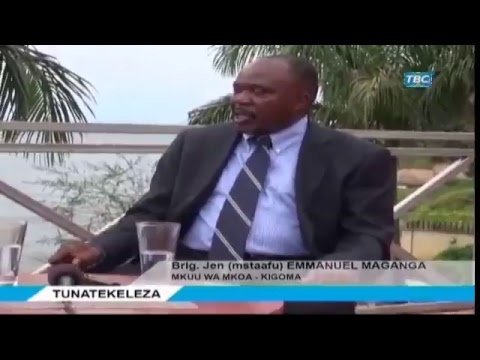 The rationale to establish and develop a Special Economic Zone at Kigoma – Ujiji is rooted in both the economic development history and the present realities, regarding the role of Kigoma Port in the context of regional intra – trade, international trade, as well as transport sector developments which have sustained the riparian regions of Lake Tanganyika, over a period of more than 100 years to date. The unique geographic location of Kigoma on the shores of Lake Tanganyika in relation the international gateway seaports of Dar es Salaam and Zanzibar on the Indian Ocean, has guaranteed through ages, the strategic prevalence of Kigoma as the leading inland Centerport and logistics supply centre for the riparian states of Lake Tanganyika. . The Kigoma Special Economic Zone (KiSEZ) thus builds on the historical position of Kigoma/Ujiji being logistics and trade centre from pre-colonial (European expeditionary teams and Arab traders), colonial (German, British and Belgian in the riparian states) and post-colonial eras. Historically and up to now there is substantial formal and informal trade exchange that takes place in Kigoma. Food products, minerals, forest products and consumer goods are exchanged. The surrounding area is highly rich and has potential to produce higher volumes of agricultural products including food products (beans, maize, rice, cassava, vegetable oils, fruits and other horticultural products as well as fish), coffee and tea. There is therefore great potential for establishing industries for processing these products for regional (Tanzania and neighbouring countries) and international markets. In terms of logistics, Kigoma is linked to Dar es Salaam sea port by rail, which provides a very good system for access of imports and exports from/to international/overseas markets. Kigoma is also linked with neighbouring countries by Lake Services. For the neighbouring countries especially, eastern DRC and Burundi as well as Rwanda, the railway routes via Kigoma offers the shortest and cheapest option for international trade. Consequently, Kigoma could develop as an important cargo freight station or logistics and distribution centre where consolidation, packaging/re-packaging and warehousing for bulk storages. Large scale or wholesale purchases and cargo consolidation could help traders in western Tanzania, eastern DRC, Burundi and Rwanda to benefit from scale economies. Consequently, everything being equal (ceteri paribus) transport economics is the most critical factor of trade competitiveness. Furthermore, for land locked countries, transport costs are a significant part of the final price paid by consumers. Therefore with the improvements of road and railways transport infrastructure between Dar es Salaam and Kigoma, significant economic benefits will be realized by all the riparian regions of Lake Tanganyika, once the proposed SEZ is established at Kigoma. The Government of Tanzania intends to invest substantially in building and upgrading, respectively the road and railway infrastructure linking the shores of Lake Tanganyika and the Indian Ocean. However, the payback and benefits to Tanzania accrue to the extent of economic use of the infrastructure. Hence, the establishment of SEZ in Kigoma will be an “Anchor Project” to provide economic justification for the planned investment in transport infrastructure construction and upgrade. In order for the above objectives and potential to be achieved, the KiSEZ has to be developed as a special “investment or foreign territory” within Tanzania for the purposes of trade operations and duties and tariffs, with special rules for facilitating investment. Thus the objective of the KiSEZ is to provide an operating environment, free from the plethora of rules and regulations governing import and export, for boosting manufacturing, augmenting exports and generating employment. Other imperatives for the success of KiSEZ will be the provision of much needed infrastructural support to the trade by bridging critical gaps in the infrastructure such as assured water supply, ICT global connectivity network, world class financial (banking and insurance) facilities and services, electrical network, and common effluent treatment plant, KiSEZ internal transport roads and railways sidings, transport links for regional and international access (roads, TRL railway, road and railway links to Kigoma port, road link to Kigoma Airport, which is to be upgraded to international status especially for the benefit of regional and international industrialists and traders. Given the strategic position of Kigoma region, a feasibility study has shown that it is one of the regions where the establishment of SEZ is feasible and justifiable. Hence, the establishment of SEZ is appropriate policy and strategy, which shall result in efficient undertaking of the economic activities and increased output growth in Kigoma region. One of the other key impacts of investing in Kigoma shall be the inflow of skilled labour force and entrepreneurs from elsewhere in Tanzania and neighbouring countries. Although it is not easy to determine the quantum of labour force to be required, initially one should expect large part of labour force with skills in various fields such as engineering, business management, ICT, finance, logistics and warehousing as well as consulting firms to come from the neighbouring countries. In terms of KiSEZ development process, currently the office of the Chief Executive, Kigoma Special Economic Zone is a sub-ordinate office under the Regional Administrative Secretary in Kigoma. However, KiSEZ being a major business development, there is need to establish an efficient business oriented institution to drive the process to establish KiSEZ. Accordingly, it has been proposed to establish a special purpose vehicle (SPV), to act as catalyst to hasten the implementation of the KiSEZ. To formalize and hence to be able to transform, mainstream and regulate the existing informal trade in food items, consumer goods and consumer durables, industrial goods, precious minerals and forestry products, which is transacted between the markets of Burundi, DRC, Rwanda, Tanzania and Zambia, and served by Lake Tanganyika as the preferred transport waterway for inland intra-trade, and from trade with international markets. This objective will be realized through the establishment of a Free Trade Zone (FTZ) and an Export Processing Zone (EPZ). To modernize, transform and expand the current role of Kigoma Port as the main inland entreport and logistics centre of the riparian states of Lake Tanganyika. This objective will be realized through the establishment of a Trade Logistics Hub (TLH) for warehousing, , unpacking, packaging and storage of shipping containers, Bulk Solid Goods Storage and Bulk Liquid Storage, together with the inland marine transport facilitation through Free Port Operations (FPO). The Proposed Kigoma Special Economic Zone is planned to cover an area totaling about 20,000 ha. within the Kigoma Ujiji Municipality and villages in the peri-urban rural district of Kigoma, which is governed by the Kigoma District Council. The SEZ will be an agglomeration of the following components which will all be interlinked via railway sidings of the main central Railway line from Dar es Salaam to Kigoma Port as well as by a local road network. The Free Trade Zone (FTZ) is the area which will provide a trading platform for all tradable goods including foodstuffs, consumer goods, industrial products, consumer durables, industrial raw materials, industrial and precious minerals and forestry products. The FTZ will be a built-up area with showrooms, trading offices, various storage facilities, financial services centers, communication centers, licensed shopping centers, business offices, hotels, restaurants, Police, Posts and Customs offices, recreation facilities and a high class residential area. The Export Processing Zone (EPZ) will consist of factories, warehouses and business offices as well as financial services and business efficiency services. The EPZ will be built primarily for the purposes of doing light assembly of completely knocked down (CKD) and semi-knocked down (SKD) consumer durables e.g. electronic equipment and household appliances, which will be imported in kit-forms primarly from the middle East, China and Asia. The EPZ area will also be used for breaking bulk, finishing semi-processed goods, packaging and labeling for export and re-export markets. The EPZ will also provide a platform for the processing of agricultural animal and fisheries products from Kigoma and surrounding areas in Tanzania and its neighbours. The Trade Logistics Hub (TLH) will comprise of warehouses; open yards for storage of shipping containers, plant machinery and vehicles; a multipurpose cargo and passenger terminal for road and railway transport including a dry port or inland container terminal; bulk sold storage facilities including grain conveyors, storage silos and bagging plants, bulk liquid storage facilities for petroleum products and petrochemicals; business offices; hotels, restaurants and entertainment facilities; Customs Offices and Security/Police Posts. The Free Port Operations (FPO) will comprise a modern lake port infrastructure at Kigoma, with an expanded quayside equipped with modern handling facilities for containerized and all kinds of bulk shipping on Lake Tanganyika, initially using roll non roll off barge and tug services. The FPO will be linked to the TLH, EPZ and FTZ by road and railway. There will be a service drydock for repairs and a holding area for shipping containers on transit through the Port of Kigoma. The FPO will be managed by the Tanzania Ports Authority (TPA) or its contractor. Given its location and function as a regional trading, manufacturing and logistics centre, KiSEZ will be a confluence of many people from the surrounding region. It has an opportunity to also become a financial hub providing attractive international financial (banking and insurance) services to people and businesses in Tanzania, DRC and Burundi. This will be achieved by attracting regional/international banks and insurance underwriters to the KiSEZ. The entire SEZ will create a new and modern city which will be co-joined to the Kigoma – Ujiji historic urban centre, and hence create new opportunities for ecotourism and cultural tourism in Kigoma region. A modern international airport will provide both local and international air services travel for both cargo and passengers. Land for the planned new international airport has already been identified and demarcated for zoning by Local Government Authorities (LGA). As part of the trade zone, there will be shopping mall(s) and social and entertainment centre(s), which will promote especially local culture and entertainment products such as music, films, etc. It should be developed such that people from neighbouring countries will be attracted to spend their quality time such as leave in Kigoma for shopping and entertainment. With very good ICT infrastructure and services, there will be a possibility of establishing links with other parts of the country and internationally in the world, which will enable people located in KiSEZ to secure contract to provide services through internet and ICT links. Such services will include engineering and other consultancy, accounting, publishing, management, education, health services etc. In considering the role of the road and railway infrastructure links to the eastern seaboard of Africa, the entreport of Dar es Salaam and the Lakeport of Kigoma can be visualized as complementary international trade gateways which exchange cargo traffic, by acting as ‘funnels’ for the receiving, cargo consolidation or break bulk, and the trans-shipment of tradable goods to various markets. The cargo traffic passing through the two ports include capital goods, food stuffs, consumer durables, industrial products, industrial raw materials and minerals, which are traded between the international markets and the inland regions of the riparian states of the Great lakes Region. Food items comprise the major commodity of the intra-trade transacted across Lake Tanganyika. The backbone surface transport infrastructure of roads and railway between Dar es Salaam and Kigoma, plays the role of a ‘pipeline’ for conveying tradable goods between the said two complementary ports, respectively on the shores of the Indian Ocean and Lake Tanganyika. The commitment and strong support of the Government for the development of Kigoma Region is clearly and publicly manifested by the substantial level of investments which have been made by the State during the past 3 years. More than US $ 100 million has already been invested in upgrading the road transport infrastructure on Kigoma Region to paved or “black top” Standard and more than US $ 60 million has already been committed over the next 12 months. All in all, by December 2011 close to 200 km of new paved roads will have been built in Kigoma Region with a span of 3 years, including 30 km of roads within the Municipality of Kigoma Ujiji. TANROADS has done a good job to date there is more to come. Tenders have already gone out for work to commence later this year on phase one of the modernization and expansion of Kigoma Airport under Tanzania Airports Authority. Dredging of Kigoma Port is in-progress being undertaken by the Tanzania Ports Authority, as the first step in implementing the port development master plan for Kigoma. TANESCO the public power utility has completed a new power station and is currently building two new ones in Kigoma Region. There are more power related projects pipelined for implementation. The road network in Kigoma region is of greater impact on the development of the region than the railway line. The railway line is important for inter-regional trade of Kigoma and central regions of Dodoma, Morogoro and Dar es Salaam. But trunk roads linking Kigoma to the neighboring regions of Rukwa, Kagera, Shinyanga and Tabora are more important. The construction of Kigoma-Kasulu- Kibondo- Nyakanazi road to gravel and tarmac standard would greatly open up and improve/hasten the movement of agricultural and industrial goods to and from Kigoma. Furthermore, the construction of Malagarasi bridge on the Uvinza- Malagarasi-Nguruka road between Kigoma and Tabora will greatly complement the central railway line. The regional and district roads should progressively be upgraded from earth to gravel standard and to tarmac standard to ensure smooth and reliable transportation of goods and inputs to and from rural areas, especially agricultural inputs to KiSEZ manufacturing and agroprocessing. We have rolled out all these statistics and pointed out physical development landmarks with a view to underscore the visible and tangible indicators of the level of Government of support and commitment for Kigoma to date, and with more in the pipeline to follow. The current momentum of development in Kigoma Region has had the effect of confidence building in the private sector. The newly built Lake Tanganyika Hotel which is wholly owned by a local (private) businessman is one strong and clear statement of business confidence in the future of Kigoma. Warehousing, Showrooms, Trading Halls, Duty Free Shops, Banking, Insurance, Freight Services (Free Trade Zone), Dry Port, Cargo Centre, Bulk Storage Facilities ( Solid, Liquid), Warehousing (Trade and Logistics Hub); Hotels, Restaurants, Lake Passenger Transport (including Tourism), Concessions for Port Modernization, Expansion, Operations and Cargo Freight Shipping; Fishing and fish processing for export, Private Commercial banks are looking for office accommodation to open branches in Kigoma/Ujiji; Local businessmen are investing in high quality boutique hotels, signifying confidence in long term investment as well as rising numbers of visitors to Kigoma with spending power; The National Housing Corporation and Tanzania Revenue Authority have completed new office blocks with 100% occupancy rate booked before completion of construction. Most of the local and international transactions in tradable commodities originating from or going through the Kigoma Region lakeshore areas, are conducted in the informal sector. However, commercial banks as well as bureau de change in Kigoma – Ujiji Municipality handle substantial foreign exchange transactions. Furthermore, there are significant transactions in the informal sector which involve the sale of precious minerals originating mostly from DRC, which eventually find their way to the international markets. The proposed SEZ will provide an international trading platform complete with financial services, and hence overcome some of the challenges which the Government of Tanzania faces in the areas of policy interventions in the informal economy, national accounting of the economy with accurate statistics and the risks of money laundering. Therefore, considering the benefits of improved business transactions, efficiency in regional intra-trade and international trade, as well as the imperative to formalize and transform the substantial trade business transactions which are currently conducted in the informal sector between Kigoma region land the neighbouring countries, of Burundi, DRC, Rwanda and Zambia; and further in considering the economic development history and prevailing realities of trade; conducted across the Lake Tanganyika with Kigoma – Ujiji as the inland main port and trade hub, there is clear empirical evidence of many years to support the concept of Kigoma SEZ as a robust regional trade development and investment initiative, which is realizable and it is already a time tested concept with regard to sustainability over time. The SEZ initiative for Kigoma fits within the strategic economic development of the Tanzania Mini-Tiger Plan 2020 and MKUKUTA, which is designed to achieve high rates of growth for poverty eradication. The results of the techno-economic which must be conducted for the proposed Kigoma SEZ Project during the development phase proceeding investments, will quantify more concretely, the tangible and measurable economic benefits of the project, in terms of the Economic Internal Rate of Return (EIRR). However, qualitatively, the SEZ initiative will have the following measurable impact on the GDP of Tanzania and Kigoma region. Reduced migration of the brightest young people from Kigoma region to move prosperous regions in Tanzania. Business opportunities for local contractors and sub-contractors during the construction phase. Business opportunities for local businesses contracted to supply fuel, foodstuffs and other goods consumed by the SEZ operators, their employees and businesses. Business opportunities for private provision of security services. Improved social and family stability in the local communities in Kigoma region in account of reduced youth migration. The Government endorsement and support for Kigoma SEZ Development was secured in 2008/2009, whereby the Government of Tanzania provided about Tshs. 500,000,000 to fund techno-economic studies; Land zoning and planning for Kigoma SEZ. Thereafter the government has been supporting this project since then to date. Property Valuation of the 691 ha. of land demarcated for initial development. To Build One Stop Service Centre building. To build local human resource capacity, skills for business and entrepreneurship. To promote and encourage Co-developers (Investment Forums). To collaborate with other international firms and organizations by using BOT systems (Build Operate and Transfer). KiSEZ will be developed under a public-private partnership arrangement, in which the public sector will provide some level of support (provision of off-site infrastructure, equity investment, soft loans, bond issues, etc.) to enable a private sector developer to obtain a reasonable rate of return on the project. If we combine a firmly established performance culture and a robust reporting regime, the challenge ahead is to marshal our resources by Striving for Business Excellence through Investor Satisfaction and Seeking Continuous improvement and innovative policies, programs and services. We trust that these insights will assist us in meeting new challenges as they emerge. Last but not the least, these commitments would ultimately lead us to ultimate success. The objective of KiSEZ is to increase its economic rent, rather than its profit as such. "A company which increases its profits but not its economic rent - as through investments or acquisitions which yield less than the cost of capital - destroys value." Feasibility Study, Land use Plan and Capacity Building done. Cadastral Survey and Land Valuation done. Compensation, Promotion and Capacity Building done.